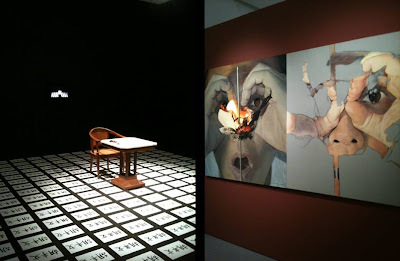 FX Harsono: Testimonies presents a survey of artwork by one of Indonesia’s foremost contemporary artists. This exhibition traces the shifts in the artist’s strategies of representation: from the ground-breaking conceptual works that re-defined art making during the Gerakan Seni Rupa Baru Movement (New Art Movement) of the 1970s; to the politically-charged installations of the 1990s; to the artist’s recent investigations into issues of self, identity and personal histories. 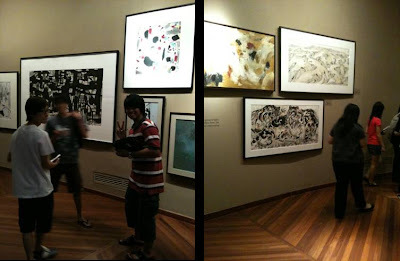 In 2008, Chinese artist Wu Guanzhong donated 113 of his important works to the National Heritage Board, Singapore. Showcasing 22 paintings from the donation, Seeing the Kites Again is an exhibition inspired by Wu’s metaphor of the kite. Since the 1960s, Wu Guanzhong has produced a great number of works, based on his personal recollections. These works are centred around his home in the South of China, his childhood, as well as the villages and towns he has been to. The diverse region of Southeast Asia is home to approximately 500 million people. The history and society of Southeast Asia have been shaped by a confluence of geographical, historical and cultural forces. With exhibits drawn from the Singapore Art Museum’s permanent collection, the theme of 'Earth and Water' conjoins two of the basic elements of life with the Mainland and the Archipelago. These works by the region's best known artists further offer multiple manifestations of life, society and traditions in Southeast Asia. This accessible and quirky exhibition aims to introduce new audiences to the ideas and art forms of contemporary art. A stellar cast of painting, sculpture, video, photography, performance art from across Southeast Asia are brought together and given the red-carpet treatment, and the whole of the SAM 8Q building is transformed into a dramatic stage for these stars and icons. Yet beneath the glamour, many of the artworks also probe and prod serious issues – often asking critical and challenging questions about society, nation and the history of art itself.